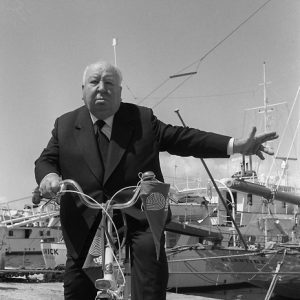 Alfred Hitchcock rides a bike. 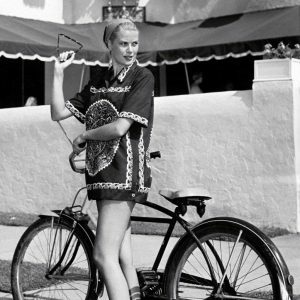 And signals. 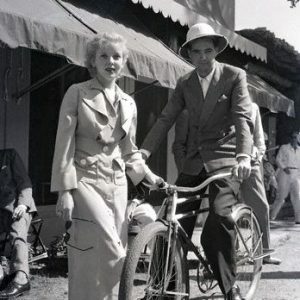 Howard Hughes rides a bike. Ida Lupino stands by.